FFA - The Islamist nexus between the Huffington Post and Al Jazeera. The Islamist nexus between the Huffington Post and Al Jazeera is one of the top reasons why Florida Family Association is encouraging Corporate America to stop supporting the Huffington Post with their advertising dollars. The Huffington Post has former Al Jazeera journalists writing articles. 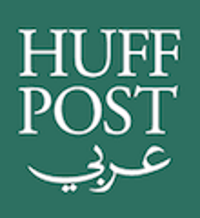 Huffington Post Arabic is led by hard line Islamists from Al Jazeera. The Islamist nexus between the Huffington Post and Al Jazeera is one of the top reasons why Florida Family Association is encouraging Corporate America to stop supporting the Huffington Post with their advertising dollars. The Huffington Post Arabic edition is run by two hardline Islamists according to a report published by Breitbart. Examples of Huffington Post articles. The Huffington Post has published numerous articles that promote Islamist propaganda. Huffington Post articles have defended the Muslim Brotherhood, defended Sharia law, fundraised for the Council on American Islamic Relations (CAIR), blamed Christian Islamophobia for worldwide conflict with Muslims, promoted an anti-Semitic blog, encouraged Islamist demagoguery, and promoted other Islamist propaganda. Thirteen examples of Islamist propaganda articles are provided below. SECOND EXAMPLE: The Huffington Post published an article on January 13, 2017 titled Ted Cruz vs. The Muslim Brotherhood Boogeyman that appears to defend the Muslim Brotherhood. "How the senator’s new bill could destroy American Muslim groups and lead to the “wanton violation” of civil rights. A bill introduced this week by Sen. Ted Cruz (R-Texas) calls on the U.S. State Department to determine whether the Muslim Brotherhood is a foreign terrorist organization. Advocates for American Muslims suspect a darker purpose ― to smear and potentially prosecute American Muslim advocacy groups, a move that could prove disastrous for the civil rights of Muslims in this country." It is most troubling to see American media defending the Muslim Brotherhood. THIRD EXAMPLE: Huffingtonpost.com defended Sharia law in its article titled 5 Things You Need To Know About Sharia law. In the wake of an Islamic terror attack in Nice, France that killed 80 people, HuffPost reported “Asking American Muslims to swear off Sharia law is a violation of religious liberty.” Many of the oppressive and violent tenets of Sharia law are antithetical to the rights afforded citizens by the Constitution of the United States. FOURTH EXAMPLE: Israel National News published an article on January 13, 2017 titled Huffington Post refuses to remove anti-Semitic blog. "Huffington Post Arabi, Arabic version of left-wing media outlet, retains overtly anti-Semitic blog decrying Jews as 'murderers of Mohammed'." The Huffington Post demonstrates bias against Israel. FIFTH EXAMPLE: The Huffington Post published an article on January 13, 2017 titled Katy Perry PSA For American Muslims Asks ‘Is History Repeating Itself?’ "The video has a surprising (and haunting) twist. Confronted with an increase in hate crimes and Islamophobic rhetoric, American Muslims have been organizing, educating and speaking out. Now, an unexpected and somewhat controversial ally is bringing awareness to the fight that America’s Muslims are facing over the next four years ― pop star Katy Perry." This propaganda diminishes the threat of radical Islam and grossly distorts the approach needed to address it. SIXTH EXAMPLE: The Huffington Post published a report on October 12, 2016 titled Islamophobia Just Drove This Boy And His Family Out Of America. (The Huffington Post changed this article after being exposed for publishing erroneous news.) However, The News & Observer published a news report on October 14, 2016 titled Investigators find no evidence Muslim child was attacked on school bus. “At this time, nothing has been found, and no police report has been filed,” Cary Town Manager Sean R.
SEVENTH EXAMPLE: The Huffington Post published an article on October 6, 2016 that is headlined: Let’s Talk About All That Anti-Muslim Garbage In Your Newsfeeds. "And it’s not just your crazy ― but lovable ― uncle sharing these memes. It’s your school board chairwoman, your town council member, your postal worker and your state’s agricultural commissioner. These memes would have you believe that the Quran compels Muslims to violence, that Muslims want to take over the U.S. and implement (gasp!) Sharia, that Islam hates women, and that all Arabs are Muslim and all Muslims are Arab. In short, these posts are garbage." EIGHTH EXAMPLE: The Huffington Post published an article on Apri1 26, 2016 titled Did Jesus Predict Muhammad? A Biblical Portal Between Christianity and Islam. The article states in part: "The time has come for Christians and Muslims to make peace between our communities. Our planet simply cannot afford another century of misunderstanding and violence between these two communities. In an earlier blog on the Huffington Post about the problem of Christian Islamophobia, I argue that Christians have the opportunity to transform the way we see Islam and Muslims by accepting Muhammad as “Spirit of Truth.” However, the majority of Christians still maintain a fundamentally Islamophobic position on Muhammad. So I believe that the time has come for peacemaking Christians to contradict this position directly. Changing our view of Muhammad—so that we recognize him as a true prophet rather than discredit him as a false prophet—would effectively inoculate Christians against Islamophobia and would help to establish a new paradigm of cooperative Christian-Muslim relations." The Huffington Post article: Erroneously blames alleged Christian Islamophobia for the worldwide conflict between Muslims and infidels; Dangerously perverts the Holy Scriptures of the Bible to falsely elevate Muhammad to a Judaic Christian status; and Tragically ignores the millions of Muslims around the world who support the killing of hundreds of thousands of Christians. The Religionofpeace.com provides a detailed report of Muslims killing Christians. Yet, the Huffington Post article has the audacity to blame Islamophobic Christians for the worldwide conflict between Muslims and Infidels. NINETH EXAMPLE: The Huffington Post published an article on July 21, 2014 titled 6 Convincing Reasons Debunking the Myth of Islam Promoting Hatred of Jews and Christians. All a person has to do is to read some of the quotes from the Quran posted in the above Second Example to realize this article is defending the indefensible. This subjective narrative demonstrates clear bias for Islamism. TENTH EXAMPLE: The Huffington Post published an article on December 16, 2016 titled Muslim Civil Rights Group Honors Jewish Counterpart With Award. The Investigative Project on Terrorism published the following about this HuffPost propaganda. "So the first Jewish group that CAIR honors is a venomously anti-Israel one that retails propaganda against the Jewish state and ignores the genocidal anti-Semitism of its foes. The “Defender of Liberty” award that CAIR gave to Jewish Voice for Peace ought to be regarded as a mark of shame for an organization which claims to represent Jews and work within the Jewish tradition while advocating for policies that would expose the Jews of Israel to greater danger, greater poverty, and greater international opprobrium. CAIR, JVP, and the Huffington Post, all such staunch promoters of Islamist terrorist front groups, deserve one other." ELEVENTH EXAMPLE: The Huffington Post published an article on January 26, 2017 titled “The American Dream Or The American Nightmare?” The article states in part: “This is a call to your conscience. I am writing about the ‘Muslim ban,’ as people are calling it. The ‘Muslim ban’ is not about security. This is about Islamophobia, plain and simple.” Only fake news promoters are calling it a Muslim ban because that is not what President Trump’s executive order states. More Islamist propaganda. TWELFTH EXAMPLE: The Huffington Post published an article on January 25, 2017 titled “Don’t Deride Women Marchers — Help Them Become More Radical.” The article headlines a photo of a women’s march protestor with a sign of a women wearing a Hijab that is made from an American flag. This is a tragic display of hypocrisy having the Hijab, a sign of oppression and devalued women’s rights, made out of an American flag, which stands for freedom and liberty for all including women oppressed under Sharia law in America. THIRTEENTH EXAMPLE: The Huffington Post published an article on January 31, 2017 titled: "Organizing Against Islamophobia: Reflection And Analysis To Strengthen Our Work." The article states in part: "Muslim communities and those being targeted by the relentless, ongoing Islamophobic, racist, and xenophobic assaults coming from so many directions are organizing with great integrity, strength, and intention. We know these assaults are not new, but the moment calls for all sorts of resistance." FIFTEENTH EXAMPLE: The Huffington Post has started a project called “Documenting Hate” which put pressure on a Catholic Diocese to terminate well liked teacher Mark Smythe for sharing factual Catholic teaching with students that was critical of Muhammad. In the case of the Huffington Post’s hit piece on Mark Smythe, the person who filed the complaint directly with the Huffington Post was not directly involved in the school. The Huffington Post article states “A concerned mother with a child in Smythe’s class gave copies of the reading assignment to a friend, who then sent the copies to The Huffington Post through the Documenting Hate project.” The Huffington Post writes regarding their “Documenting Hate” project “America does not do a good job of tracking incidents of hate and bias. We need your help to create a database of such incidents, so we all know what’s going on.” This project is certainly being used to push the Islamophobia false narrative. SIXTEENTH EXAMPLE: Huffington Post published an article on June 25, 2017 titled Another Violent Ramadan. This article, which appears to focus on quelling people’s criticism of Islam, biasedly profiled a handful of incidents (many of them alleged incidents) that victimized Muslims. The article quoted reports by the Council on American Islamic Relations. HOWEVER, the article failed to report the overwhelming VIOLENCE that the people of Islam committed during Ramadan. During Ramadan 2017 there were 161 Muslim terror attacks that killed 1,483 people and wounded 1,557 others. SEVENTEENTH EXAMPLE: Huffington Post published an article on June 24, 2017 titled Most Of America’s Terrorists Are White, And Not Muslim. The subheading stated "Right-wing terror is real, and it’s a problem." The title speaks for itself as fake utter nonsense. EIGHTEENTH EXAMPLE: Huffington Post published an article on JuLY 27, 2017 titled "I Became Muslim Because Of Jesus." The html link for this article states "Jesus guided me to Islam." This outrageous report is offensive to Christians. NINETEENTH EXAMPLE: The Huffington Post published an article on January 16, 2018 titled “The Girl Who Lied About Hijab Attack Deserves An Apology.” Khawlah Noman, 11, started a media and political firestorm by falsely reporting that a strange man had cut her hijab with scissors on her way to school. Her fake story captured national and international attention, and drew public condemnation from Prime Minister Justin Trudeau, Ontario Premier Kathleen Wynne and Toronto Mayor John Tory. Huffington Post reports that Khawlah Noman is not only deserving of sympathy but an apology for the blowback that came her way after she was outed by police as making it up. TWENTIETH EXAMPLE: The Huffington Post promotes hijab and Islamist oppressive dress. The Huffingtonpost.com published an article on February 1, 2018 titled “One Of The Largest Retailers In The U.S. Is Launching A Hijab-Friendly Fashion Line. Muslim and non-Muslim women will be able to purchase hijabs, tops and loose pants on the Macy’s website. TWENTY FIRST EXAMPLE: The Huffington Post published an article written by Nate Terani titled "Donald Trump’s America Is Already Hell Enough For This Muslim-American." The article states in part: "In some dark corner of my mind, given what we know about what we human beings are capable of, I can almost imagine some kind of Muslim-American version of the Holocaust, the ultimate nightmare that immigrants and Muslim-Americans have dreaded since Donald Trump’s election victory in November 2016, but dare not whisper. There’s nothing sadder to say than that such fears do not completely lack historical precedent: the world has, of course, been here before." This demagogic article was clearly written with the goal of fanning the flames of hate toward President Trump, his cabinet and anyone who rightfully expresses concern regarding the nationalistic approach that Islamists are taking toward establishing a Caliphate.